These 12 Handbags Are Trending—But Which One Do You Love the Most? The best designers bags of 2017 have approximately one thing in common: They're all bags. Once upon a time, the mood of the season would be so heavily dictated that all potential It bags had to follow a theme (satchels are in! clutches are out! ), but these days, there's a wider spectrum of hotness. Almost any style goes, and your choice really is your choice. If you've never been one for minimalistic fashion, all is good: Meet the Gucci belt bag that comes in myriad colours and velvet finishes, or Balenciaga's frankly quite mad Triangle bag. If you're looking for an investment piece, check out super-luxe brands like Gabriela Hearst—her bags will last and last. What these handbags do all have going for them is a strong fashion industry following. The styles you'll find here are new and also highly coveted by those who are discerning enough to only choose the best. These are the pieces carried by influencers, celebrities and editors alike, and many of them are—unsurprisingly—already selling out. You'd be hard-pushed to locate many of Chloé's Nile bag, for example, but we did find one just for you. Keep reading to see and shop the best designer bags of 2017. 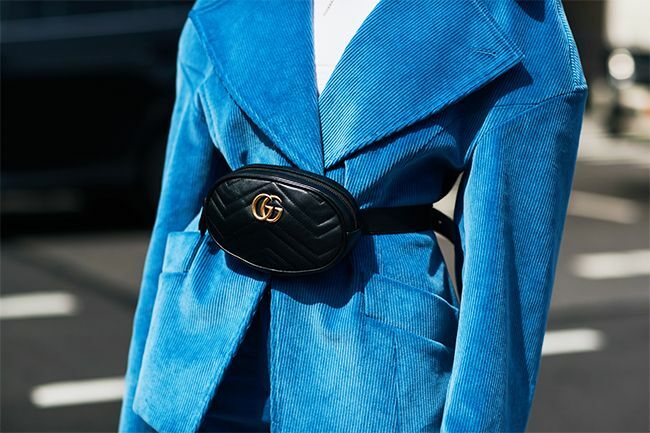 Belt bags are cinching waists all over the streets of fashion week, but it's Gucci's quilted style—which also comes in sumptuous velvet colours too—that's leading the pack. Who else but Demna Gvasalia could create a bag that looks like a wedge of cheese and make it fly? His triangular creations for Balenciaga are barely staying on the shelves long enough for us to provide you with a shopping link that isn't sold out. We've tracked down the larger duffel version below—thank us later. Our undying love for the Classic Flap or 2.55 from Chanel could never be questioned, but there is a particularly tempting new addition to the Parisian famille: Meet the ladylike-but-easy-to-sling-across-your-body Gabrielle, already adopted by street style stars across the globe. Mulberry's A/W 17 show was all about texture and the colour purple, and that appears to have extended very nicely into their new bag range, Amberley. 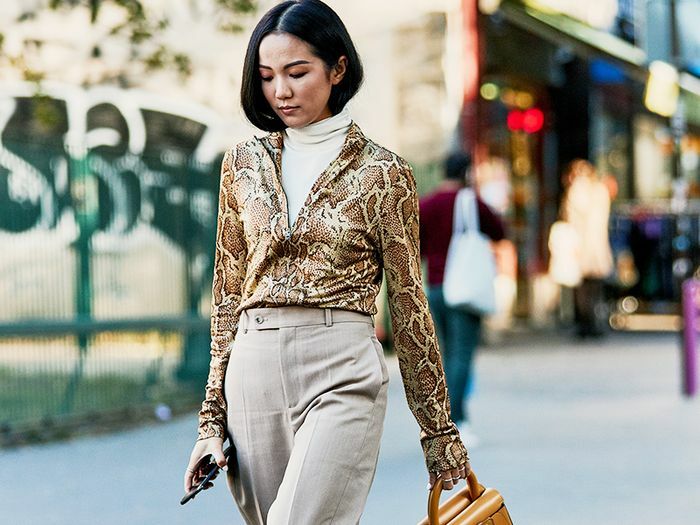 Rising street style star Emili Sindlev recently carried this croc-print style to Copenhagen Fashion Week and confirmed that this unexpected shade really does work in wonderful ways (plus, it's relatively affordable, as far as It bags go). We didn't think J.W.Anderson's Pierce bag could get any better, but here is it, ribbons and all. Now rendered in velvet and trimmed with grosgrain, the street style smash has just stepped up another notch. You could blame Chloé for kick-starting the entire metal-circle bag trend yonks ago when the Faye bag first launched. But the brand has now taken the idea to the next level, fastening a swinging golden handle onto this versatile new mini style. We knew these would be a hit as soon as they took to the spring 2017 runway. In a nutshell, anything with Dior branding or logos on will sell out in 2017. We've seen it happening with the beribboned shoes, and now it's filtering through to these hardware-embellished bags like the J'Adior. Not strictly an It bag in the designer super-brand sense of the concept, but an It bag nonetheless. American designer Simon Miller continues to see success with his grab-'n'-go Bonsai bags—and they now come in different colours and sizes, including this bigger version. Cue another shopping storm. Burberry's vast series of DK88 bags is all based around one idea: The range is inspired by and named after the house code for its signature honey-coloured gabardine that's used in trench coats. These top-handle styles also come with a crossbody strap, so they're just as versatile as the designer's famed outerwear. This carefully crafted and knotted hand-held bag isn't brand-new to the Olsen twins' offering for The Row, but it is picking up apace. The designer is reintroducing it in other colourways and fabrics, including larger iterations in leather as well as the smaller size in velvet. We don't care which version we nab—we just want one. Because these bags as so luxurious (you have to submit a request to get one made, and there's currently a rather large waiting list), you won't see them everywhere. However, a few leading lights of the fashion industry have managed to secure one, and as such, this curvy piece of arm candy is becoming increasingly coveted. Gabriela Hearst Nina Bag (Price on Application). Next up, how to dress for a winter wedding.